Digital signage is a network of centrally controlled digital displays and is the most effective way to engage your audience with immersive content and timely information. As we progress towards a digitalised world, digital signage becomes more prominent in playing significant roles in day-to-day businesses, not just for retailers but all businesses, big and small. Cost-efficient: Removing the need for on-site replacements, content can be changed and updated at no additional cost via a central or remote platform in just a few clicks. Informative: Target audiences are informed with relevant content. Electronic display boards can be used to relay internal messages or communicate with visitors, clients and customers. Engaging: Wide spread audiences are engaged via videos or interactive content to create an entertaining and memorable experience. Branding: Digital signage allows you to send a relevant message that aligns company values or branding ideas and use it to add promotional value which people will remember. 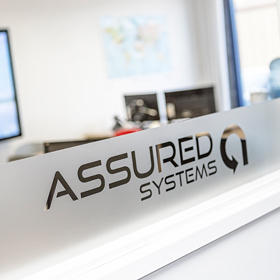 Assured Systems develop demanding digital signage solutions for technically demanding applications all over the world. Our experience in integrating our products, relationships with our suppliers plus in-house design and development team; means that we can create digital signage solutions to meet the criteria for the most challenging of projects. The brief was to supply a long-life industrial computer solution which could be housed in an enclosure with no vents and operate over a wide temperature range. Due to the regulation on sub-surface station and threat of fire and other hazards, the system has to be available for a number of years to amortize engineering and certification costs. Read the full case study here. 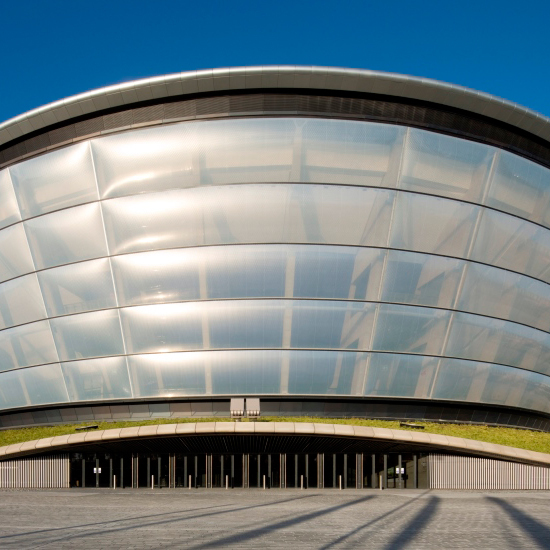 Along with airports, concert and exhibition centres are some of the most densely covered environments for digital signage. 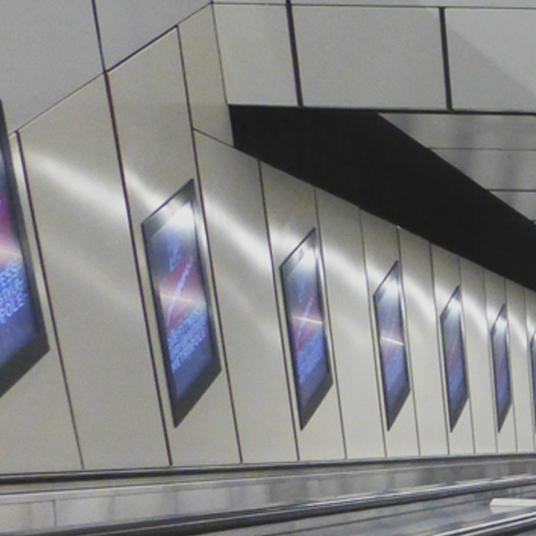 Placed above head height where standard screens would encroach upon headroom, stretched bar displays make safety, sales and wayfinding messages more viewable to more people. Read our story here. 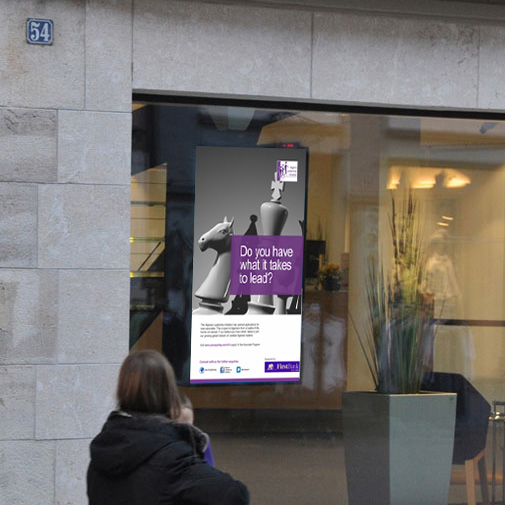 A major international banking group wanted to add multiple LCD screens to each of their high street branches throughout the UK. Running a well known content management solution, the screens will display targeted advertising to clients and potential clients. To cut down on the installation and servicing complexity, an Intel OPS compliant commercial grade display was selected which houses an OPS media player. Read more.